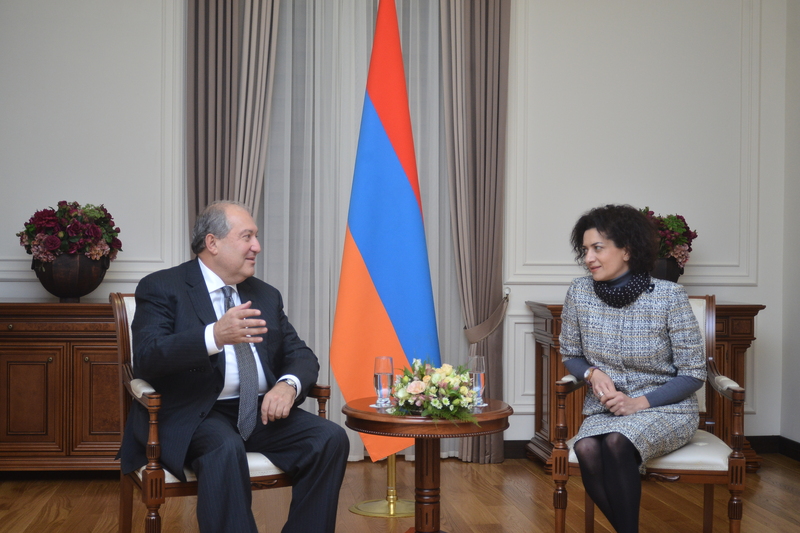 President Armen Sarkissian hosted today the spouse of the Acting Prime Minister Nicol Pashinian Mrs. Anna Hakopian. Mrs. Anna Hakopian presented to Armen Sarkissian activities and programs of the My Step Foundation headed by her. 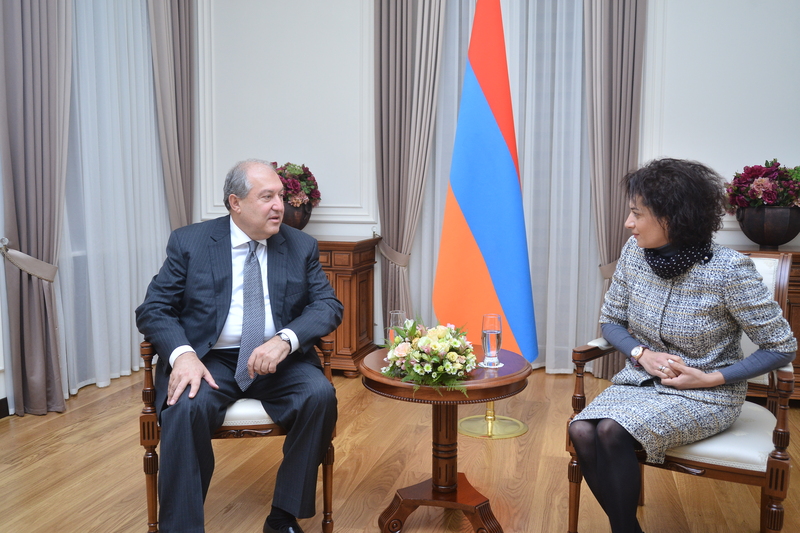 The interlocutors spoke about the possibilities of cooperation between Yerevan, My Love and My Step Foundations. In this context, stressed was the importance of participation of the President’s spouse Mrs. Nouneh Sarkissian and Mrs. Anna Hakopian to different social, educational, and culture charity programs, as well as the implementation of joint projects.